The hours of training are behind me, the job lists to this point are done, and tomorrow morning at 05h30 I get on a plane for the long journey to Punta Arenas, Chile. I am sitting on the balcony of my little cottage, and it’s a lovely moonlight evening. Tonight the Southern Cross is seemingly brighter than usual, showing ME the way to the South Pole, and all the separates me from Antarctica is the Southern Ocean that disappears into the moonlit horizon. 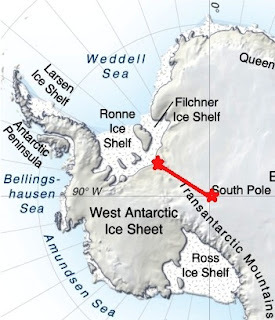 This is a very emotional time, as I seem finally to be on track to meet my destiny with Antarctica. In 2006, 2008, and 2009 I came close to meetings with this special wilderness but the experiences weren’t to be, no doubt waiting for this very special meeting and experience that lies ahead. I never wanted the meeting to be on passive, commercial operator terms, I wanted as naked an experience as I could personally manage, and now this is exactly what awaits me. As I think through what lies ahead, I have this huge emotion cocktail within, feelings of apprehension, fear, excitement, and a sense of handing myself over to fate. The rational human being would seriously question why someone would want to leave the warm home, peace, security and serenity of this cottage environment to take on the hostility of the Antarctic environment, and solo! There is something bizarre about all this, but having done many of these ‘irrational’ expeditions, I know that there is an amazing way of life awaiting on the ice. A way of life that is so simple, and so focused on the minuteness of the micro now, that one experiences this enormous peace and serenity that is beyond what I can experience in the city / home environment. It is a life free of mindless clutter, yet full of challenge, and in an environment that is the purest of the pure: The world’s largest desert, and an ice one at that.... Once i understand that the life on the ice that I am going to will be of this ‘higher quality’, the whole game becomes so much easier. The trick comes in settling into the new life as quick as possible, and embracing it as my ‘new way of life’, rather than a temporary suffering situation, that needs to be wished away, by the thoughts of reconnecting back to the preferred life that I have left behind. I call this point the capitulation point, the point where my gear, systems and routine are now all bedded down, and one starts really enjoying the way of life, knowing that this is my way of life, rather than a temporary, and unwanted, removal from normal way of life. The sooner I can get to that point, the better my adventure will go, and the more real fun I will have. After this point one almost becomes one with the environment, and with that will come a specialness that draws me back to these seemingly crazy, mindless adventures. I am so excited and truly can’t wait to get to that point of oneness with Antarctica, but the fear and apprehension is about getting to that capitulation point. The change in lifestyle is so severe, and so anti society, that few can support or understand, and it is only something I have to deal with myself within. 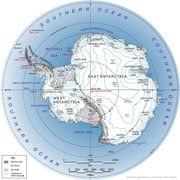 The equipment and the routines are key to shortening the time to this ‘oneness with Antarctica’ point, and this is why these past few weeks are attending to the final equipment specifics is so very important, and in some ways stressful. The decisions being made will determine how quickly, or even more serious, whether one can even get to that ‘oneness’ point, and the final adventure objective. For many it would seem that the only goal is reaching the South Pole, but I know that these extreme adventures are about two things: The Journey and the Goal. One needs to balance these two objectives, and I remember clearly in the final days of my North Pole expedition, I felt this inner peace, that made reaching the Pole almost a non event for me, because within I knew I had experienced 42 days of an amazing journey, and it’s value had far overtaken the prize of the end goal. I am hoping that the same happenings here, and wonder how the solo nature of my journey, and the stark ice desert environment will effect this journey / goal balance. I have to go know...Bye, bye Cape Town, my destiny with Antarctica awaits, and I’m in a hurry to get there!! All the best Howard. It sounds as though you are ready for this new adventure. We will be following closely.